Fairmount Behavioral Health System, located in Philadelphia, is recruiting a full time Medical Director for the night shift on their Admissions Department. This is a wonderful opportunity to join a great group of physicians at Fairmount Behavioral Health System. A private 239 bed free-standing psychiatric facility; Fairmount's Psychiatric Services offer a specialized level of care designed to meet the needs of patients who are experiencing various psychiatric and addiction disorders. Within its inpatient setting, Fairmount has five (5) adult units and five (5) Child/Adolescent units. Within its residential Chemical Dependency setting, Fairmount has two gender specific rehabilitation programs, as well as a coed Detox program. • Position duties include: Daily care of assigned patients within the Admissions department (23 hour suite and New Admissions) during scheduled hours, management of any medical/behavioral emergencies within the facility during scheduled hours and interaction with clinical and physician staff. • Masters prepared clinicians and administrative staff will support the incumbent in their patient care duties. • Physician will work with various patient populations, to include clients for Inpatient Hospitalization, Chemical Dependency Residential populations, and our Partial Hospitalization Program. 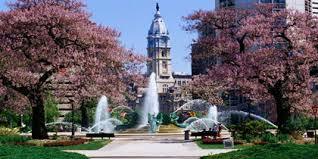 Board Eligible/Board Certified in General Psychiatry with an active PA license or ability to obtain licensure. Located on a 27-acre wooded campus, Fairmount is a peaceful, therapeutic environment for patients and families. Fairmount is a major regional resource for children, adolescents and adults who have psychiatric and behavioral problems as well as alcohol and drug dependency. The spacious campus bordering Fairmount Park in the Roxborough section of Philadelphia is a peaceful setting for patients and families. Fairmount is fully accredited by the Joint Commission on the Accreditation of Healthcare Organizations. We will be known as the behavioral health provider that lives by our values, thus ensuring that each patient feels empowered, develops healthy behaviors and has a personalized treatment experience. Our employees will have such confidence in our services that they would entrust their loved ones to our care. We will be the employer of choice for employees at every level, creating pride through teamwork, collaboration, fairness, and follow-through. We will have a reputation for unrivaled partnership with all of our associates and guests, including our patients, their families, and our community. Our patients deserve effective and predictable treatment programming to help develop healthy behaviors. A patient’s time with us is limited and so we must take advantage of the opportunity to stabilize and teach healthier coping skills. This means that all services are delivered, on time, and with the highest quality. We “set the tempo” by providing choices within structure, so that we may maximize our patients’ interest and participation in treatment activities. By admitting a patient, we have made a promise to them and to the other stakeholders in their life. We promise to provide accurate and thorough assessments; to develop and implement a rigorous treatment plan; to deliver group therapy and psycho-education each day, on time; to document our actions completely and promptly; to follow the clinical schedule; to develop a careful and effective discharge plan. We follow-through and keep our promises. We are here to serve our patients. To do so, we must always act such that the patient’s welfare is greater than our own. At a minimum, we will do no harm. Ideally, our patients will develop skills and coping mechanisms that allow them to live productive, healthy lives. Our employees must role-model selflessness and provide the type of care that would be acceptable for their own loved ones. Similarly, we have an obligation to each other, because a cared-for employee is also a caring employee. By serving our patients well and by taking care of each other, we ensure the mission of the hospital.